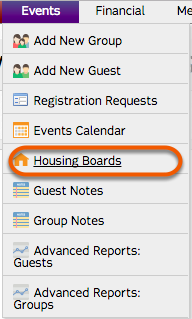 Click "Housing Boards" under the Events tab. Here you have all of the groups/guests that registered for the selected event. 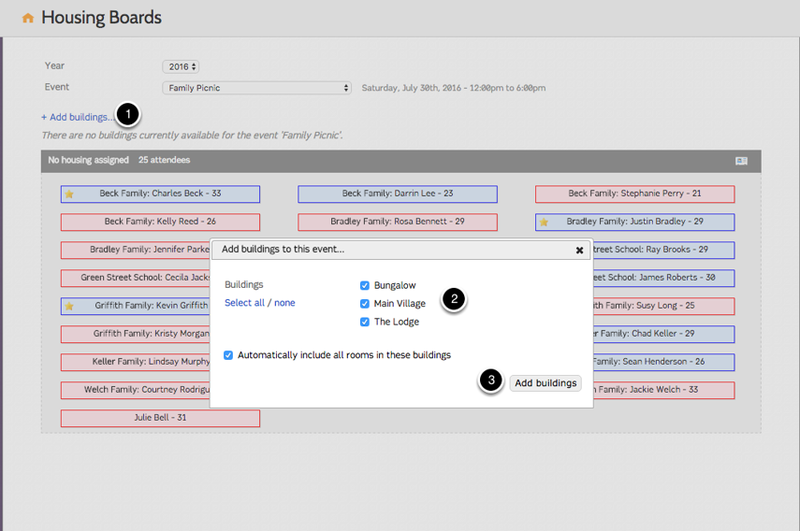 You can add a building if your event requires the registrants to be place in different areas. 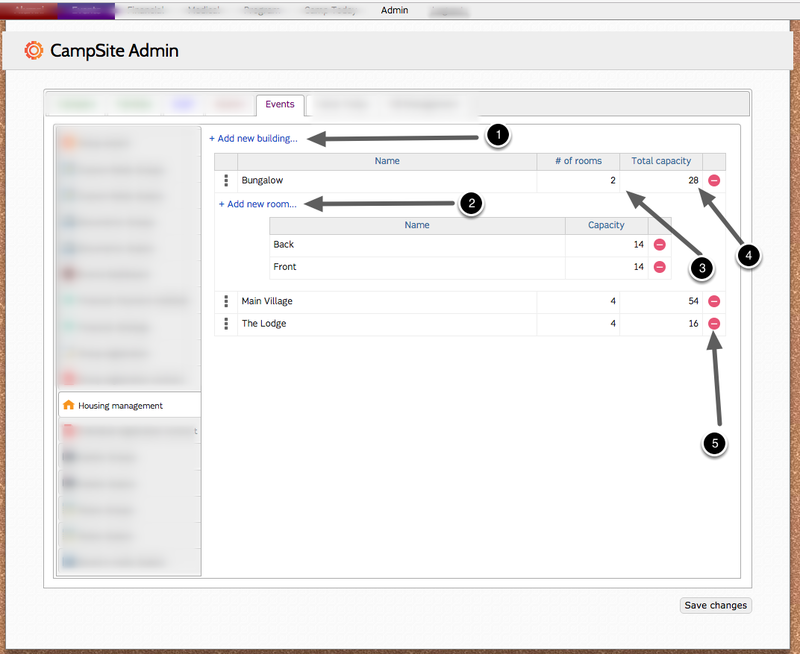 Back under the Admin>Events>Housing Management tabs you can set the parameters for your buildings and/or rooms. Double click to add or change #of rooms. 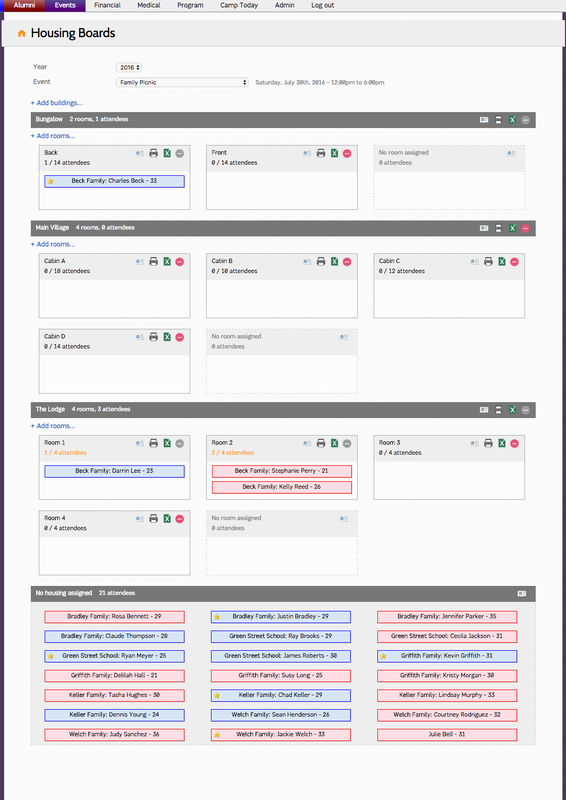 Double click to add or change capacity. Double click the "Red Dot" to delete option. Select which buildings you would like to include. 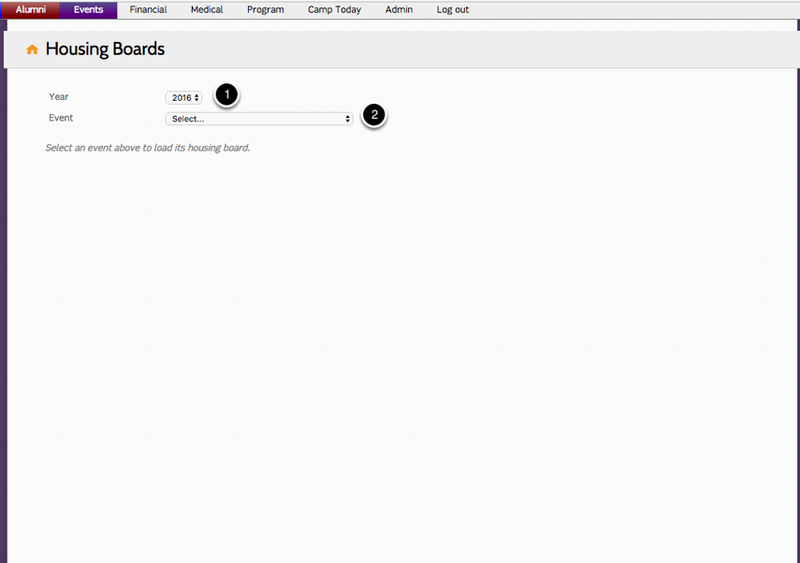 Drag and drop the registrants into a building/room. 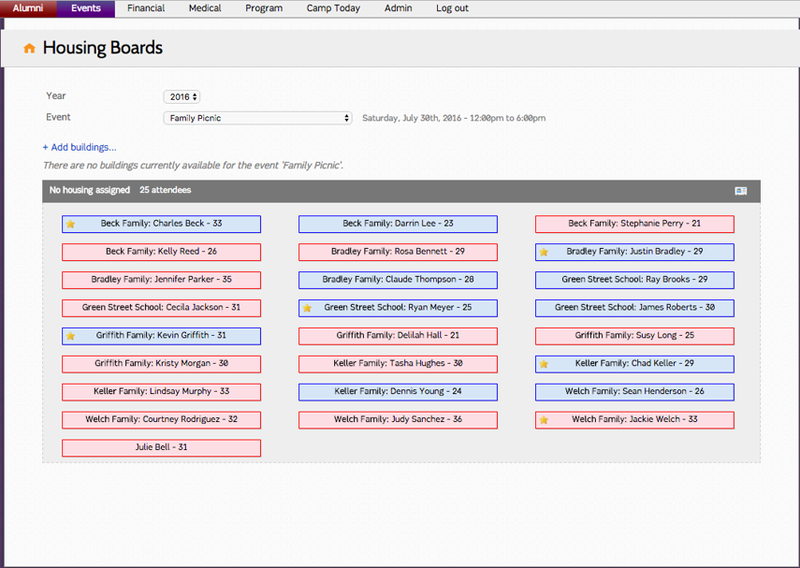 Once the Housing board is complete you may print a list of each room or export them as a spreadsheet.